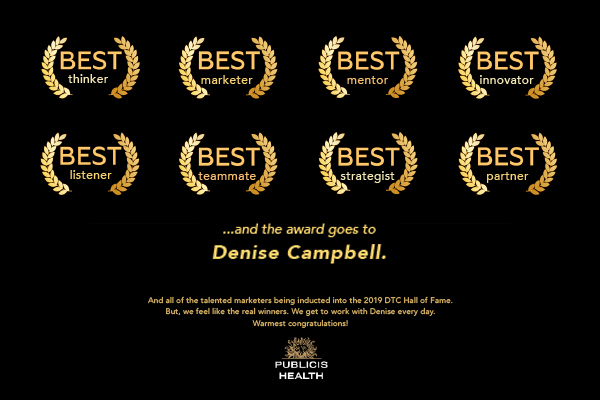 Denise Campbell is an accomplished marketer and branding expert who has delivered significant business results across a wide variety of industries. 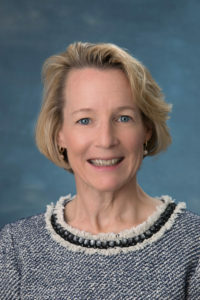 She has held key leadership roles in the consumer packaged goods, ecommerce and life sciences industries at companies such as Quaker Oats, uBid.com, Bristol-Myers Squibb, Astra Zeneca and AbbVie. As Head of Consumer Marketing for Immunology at AbbVie, Denise currently leads a team of more than 20 marketers developing the consumer strategies for the largest pharmaceutical brand in the world, HUMIRA. Under Denise’s leadership, HUMIRA continues to be one of the most recognized brands in the industry, helping to educate and empower patients across 10 indications. Driven by strong market insights, analytics and research, her team’s work has been recognized by DTC Nationals as well as Cannes Lions Health. Prior to joining AbbVie, Denise was the Head of Consumer Marketing at Astra Zeneca, leading the consumer marketing and branding efforts for many blockbuster brands, including Nexium, Seroquel, and Crestor. During her tenure at AZ, Denise provided the thought leadership for the foundation of PhRMA’s original DTC Principles. Denise sits on the Board of Transparent Partners, a venture-backed, independent marketing technology and data consultancy. Previously she served as a Board Member at Lil’ Drug Store Products where the company significantly grew the revenues of their consumer OTC business, resulting in a successful acquisition by Church & Dwight. Denise earned her BA and MBA at The University of Michigan. She lives in Lake Forest, IL with her husband, Mark Allen and their two (constantly shedding) golden retrievers, Cooper and Maizee. The DTC Hall of Fame is designed to recognize industry members who have made significant contributions to innovate and progress DTC / consumer communications. Industry-wide nominations are collected and then the final four inductees are determined by DTC Perspectives and our Advisory Board, a select group of industry experts who serve as counsel. Inductees can be from any sector of the DTC Industry: Pharmaceutical Manufacturer, Agency, Media Channel, DTC Service Provider, Government, Academia, etc. Nominees should have a minimum of 5-10 years’ experience in healthcare marketing to be considered eligible. Given the newness of the field, it is not necessary to be retired to be eligible. As part of the DTC National, the DTC Hall of Fame festivities include a cocktail party followed by a formal induction ceremony on April 16th presented by PatientPointwith video tributes and live introductions from industry leaders, as well as an address by the Hall of Fame inductees. Each inductee is also profiled in the annual issue of DTC Perspectives Magazine.